A sellsword in his early to mid thirties, Bronn is described as bone thin and bone hard, with black eyes, black hair, and a stubble of beard. Bronn is as mercenary as they come, caring only for his profits. 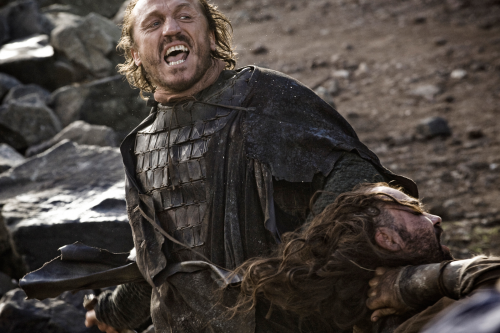 The actor cast in the role, Jerome Flynn, was born in 1963, making him approximately 10-15 years older than the character described in the series. His appearance is also not quite the same, but it is a minor detail.